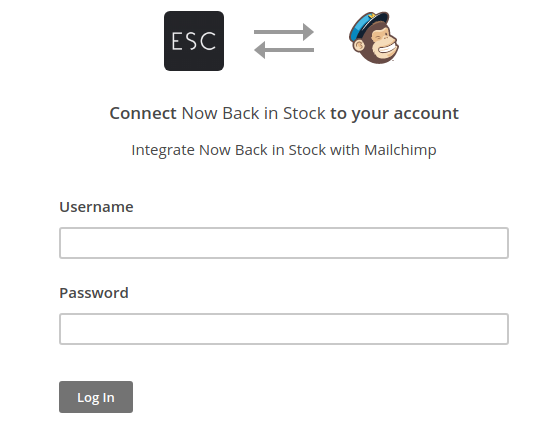 To intergrate Now Back in Stock with Mailchimp,go into your shop’s admin area, then go to Apps > Settings > MailChinp Intergration. Signup using your username and password. Select and save the list you would like to use with Now Back in Stock. There is also an option to customise the corresponding merge fields.